Schedule Of Childhood Vaccines Declared Safe : Shots - Health News Parents will be reassured to hear there's no evidence linking the current timeline for vaccinations to health problems. A review of all available scientific data looked at a wide range of medical conditions — including diabetes, autism and epilepsy — before declaring that there's no reason to worry. 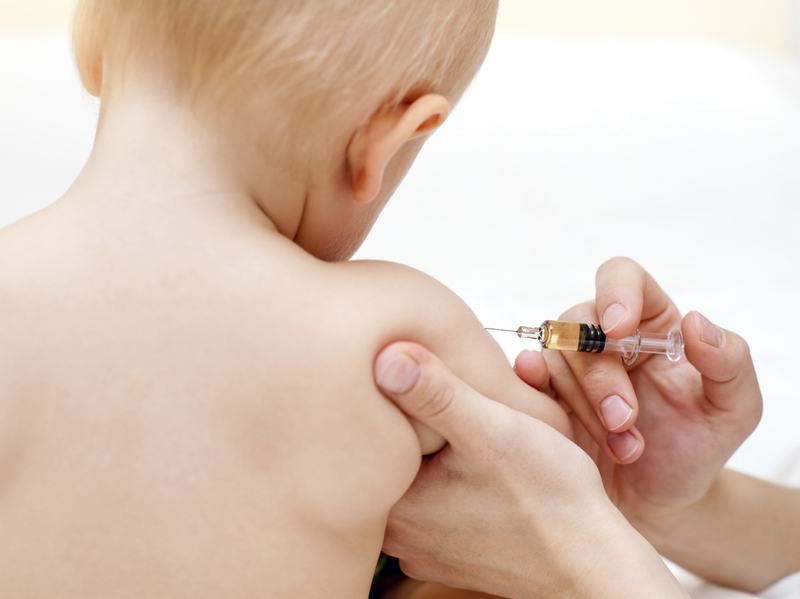 Some parents have worried that kids get too many vaccinations too quickly. A review of all the available research suggests those concerns are misplaced. Childhood vaccines for diseases like measles, polio and whooping cough have repeatedly been proved safe and effective. Even so, some parents still worry that the schedule of vaccinations — 24 immunizations by the age of 2 — can be dangerous. That worry is likely misplaced, according to a yearlong review of all available scientific data. Researchers from the Institute of Medicine found there is no evidence that the federally recommended timeline for childhood vaccines is unsafe. According to family physician Alfred Berg of the University of Washington School of Medicine, who was a member of the IOM committee, the research team looked at a large number of medical conditions, including "things like autoimmune diseases, which even captures diabetes, asthma, hypersensitivity, allergies, seizures, epilepsy, child developmental disorders including autism, and other learning disorders, communications disorders, intellectual disabilities, and even rare things like tics or Tourette's syndrome." None could be linked to the vaccination schedule. Parents should be reassured, says Berg. But at the same time, the committee report says that when it comes to the timing and number of vaccines given, current research isn't as comprehensive as it could be. For example, there's been little research into whether it's still just as safe and effective when vaccines are spread over a longer period of time than is currently recommended. "Once the schedule has been set, though, no one has studied whether moving the vaccine forward two weeks or backward two weeks or adding two vaccines together or splitting them apart would be better than the current schedule," Berg says. The committee suggests federal researchers could collect data and follow health outcomes among children whose vaccines are delayed. In some cases children get sick and can't get a vaccine on schedule. In others, parents choose to space out vaccines because they're worried about the safety of getting multiple vaccinations at the same time. Even though this review finds that there's no reason to worry and that the current recommended schedule is completely safe, Berg says it still might be useful to know what happens to children who don't get their vaccinations on time — by comparing them to children who do. Preliminary research does show children who don't get vaccinated on time are hospitalized more often than children who are immunized according to federal guidelines. Further monitoring and research is needed. Some parents remain skeptical, however. Barbara Loe Fisher, president of the National Vaccine Information Center, a nonprofit advocacy group, says the committee relied on only 40 studies, which, she argues, "is not nearly enough science to give parents confidence that the current vaccine schedule is safe." Despite Fisher's concerns, federal health officials say that most parents adhere to the recommended vaccine schedule and that 90 percent of all children are fully vaccinated by the time they enter kindergarten. Only about 1 percent of parents refuse all vaccines.